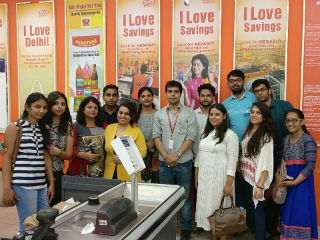 PGDM- RM Students (Batch 2016-18) Visited MORE RETAIL STORE BY - ADITYA BIRLA GROUP LTD.
Retail businesses vary in shape and size. The same variety is also found in the extent of activities involved in managing stores. 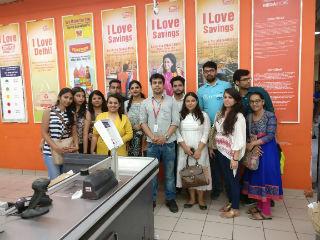 PGDM- Retail Management students (batch 2016-18) visited MORE RETAIL STORE BY - ADITYA BIRLA GROUP LTD on 26th July 2017. 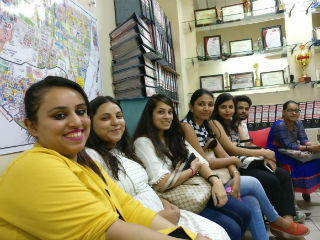 It was an overwhelming experience for the students. In small stores, multiple tasks may be carried out by a single or a very few individuals but in large organizations, these tasks are divided among the experts to ensure smooth and efficient functioning. MORE has given the insights to the students that there has to be synchronization between catchment and occupier mix. 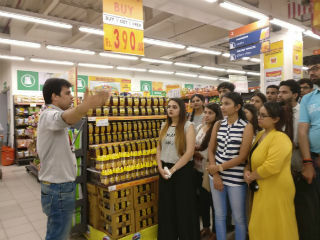 Students have learned the main functions of a retail operations including the buying and merchandising of products, human resource management – managing the in-store staff who process the order through the tills or help at the self-service checkouts, explained 7 steps of Bay Ka Malik. They have got the concept of BAY KA MALIK who is responsible for every SKU's to the sales period. 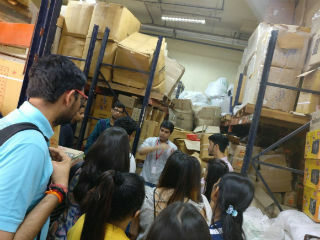 They also explained the logistics and distribution system – the processes that get the goods to MORE store. 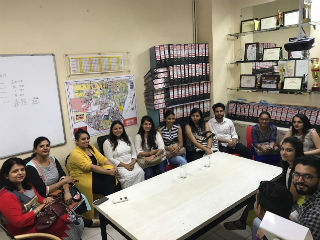 Briefed about the marketing techniques– the in-store promotional techniques which are used to attract the customers to make purchase. MORE has the concept of ‘Buddies’ who strive to give their best to explain the students every minute detail in store, backend operations, inventory management etc. Such training programs are the need of the hour for better understanding, conceptual clarity and student exposure to the retail industry.